MIAMI — Jordan Milbrath was getting ready to report to Arizona this Friday for spring training, but one can never get too comfortable as a professional baseball player. 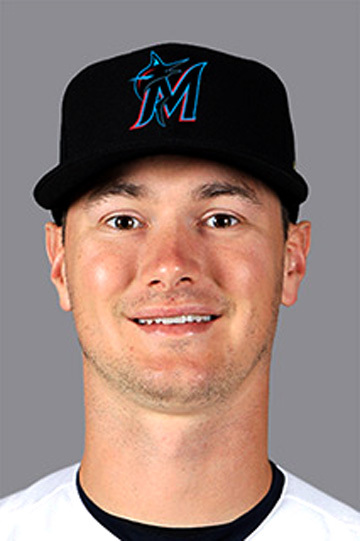 Milbrath, a right-handed relief pitcher in the Cleveland Indians organization, found out that he was being traded to the Miami Marlins in exchange for pitcher Nick Wittgren. Milbrath will report to Jupiter, Florida soon and figure out his next step. Milbrath was to report with the Indians on Feb. 19 but now he has to report on the 21st. He said that once he figures out his new housing situation in Florida, he’ll get down there early and start doing the basics to get his season going. A 2010 graduate of Springfield High School, Milbrath attended Augustana University and he was drafted by the Indians in the 35th round of the 2013 MLB draft. In 2017, Milbrath was selected by the Pittsburgh Pirates in the Rule 5 draft, but he was returned to the Indians. After he returned to the Indians, he revamped his delivery and went to a sidearm delivery. His 2018 season saw him go 2-4 with a 3.42 ERA at Cleveland’s AA affiliate in Akron and 1-2 with a 5.93 ERA at AAA Columbus. He has one year remaining on his contract once that expires, he becomes a free agent. He’s thrilled about the opportunity to pitch in the Miami organization and he looks at it as a chance to perhaps get to The Show.